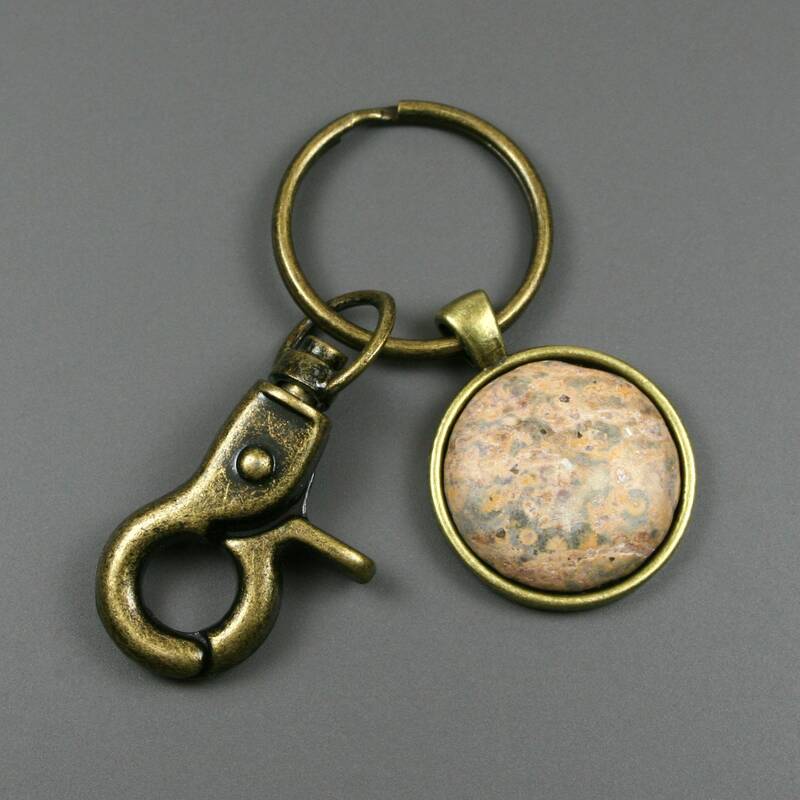 This key chain is made from a 25 mm round leopardskin jasper stone cabochon that has been set in a 25 mm round antiqued brass bezel setting and attached to an antiqued brass metal key ring with a swiveling lobster claw attachment. Leopardskin jasper is a natural stone and therefore contain natural color variations from specimen, but these multicolored stones range from pink to peach to rust to brown to dark gray. 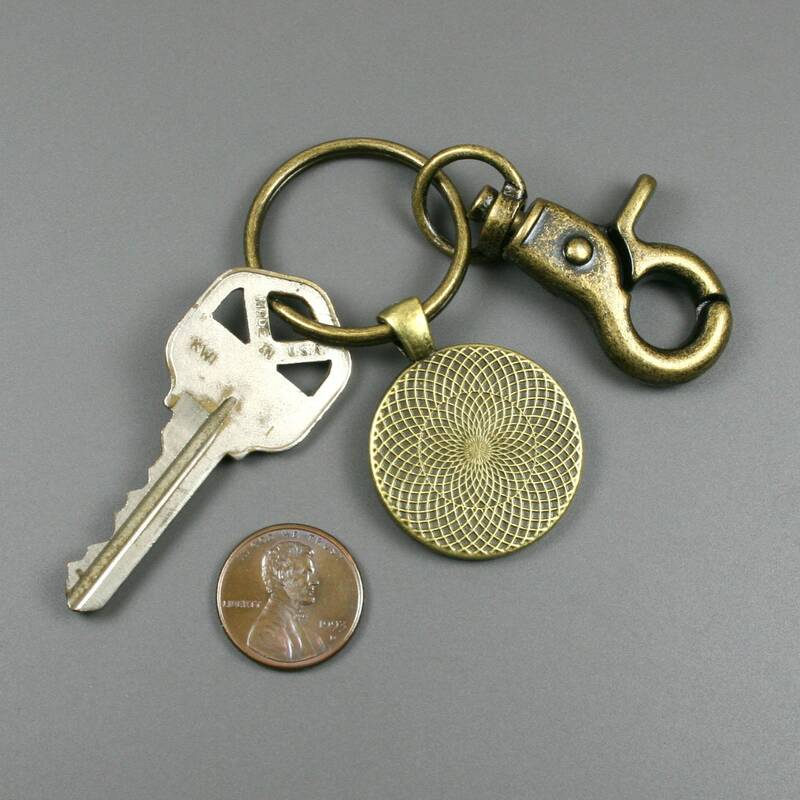 The one shown here is beige with gray markings. 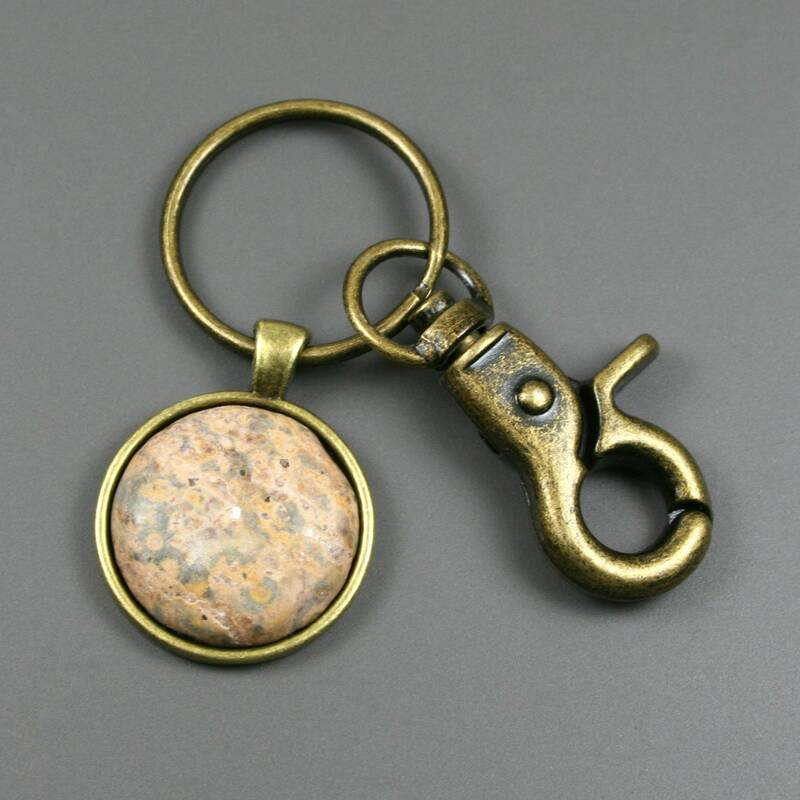 Leopardskin jasper is claimed to promote protection and harmony.